A fellow Face-booker, from Facebook, posted the photographs above to our UFO group and asked me if I had ever seen them before. They were wondering if these two aliens, I will call them Mystery Alien 1 and Mystery Alien 2, were real extraterrestrials. I had never seen the photographs before until that moment when they were brought to my attention. Using common sense, my first thought was, "Well, if they are not actually top secret Air Force file photos, then they must be photos of people wearing latex masks or monster make-up." I started googling alien masks and after I did so, I discovered the very inspirational Monster Masks blog. 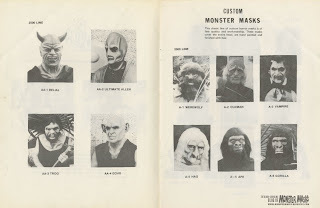 The Monster Masks blog has a wonderful collection of pictures of Halloween masks throughout the years. I was in luck because the newest blog post was a page scan from a catalog of masks published in the 1980s and to my convenient surprise, it looked as though Mystery Alien 2 was on the page! At first glance, I was not totally sure if it was the alien I was looking for because the picture was taken from a different angle. So, I asked the author of the Monster Masks blog if he recognized either of the two mystery aliens. 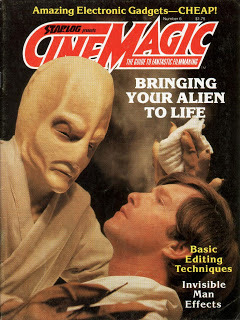 Sure enough, he confirmed that Mystery Alien 2 was a mask sculpted by Kirk Brady and produced by R. Quinn Studios around 1981 or '82. Mystery Alien 2 was actually called the "Ultimate Alien." After my exciting discovery, I was curious as to why UFO Crash Secrets at Wright Patterson Air Force Base would publish such faulty information. I then began researching it's author James W. Moseley. 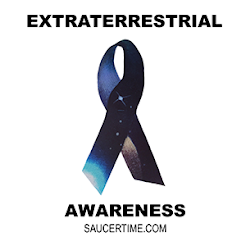 James W. Moseley was an American ufologist who founded two popular news publications on UFOs starting in the 50s with Saucer News and than again in 1981 with Saucer Smear (Hey! kind of like Saucer Time!). Moseley became known best for exposing many UFO hoaxes during his lifetime and also creating a few hoaxes of his own! That explains that. 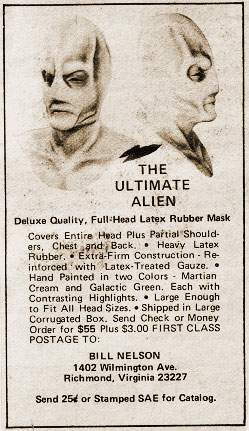 However, I couldn't figure out the identity of Mystery Alien 1... 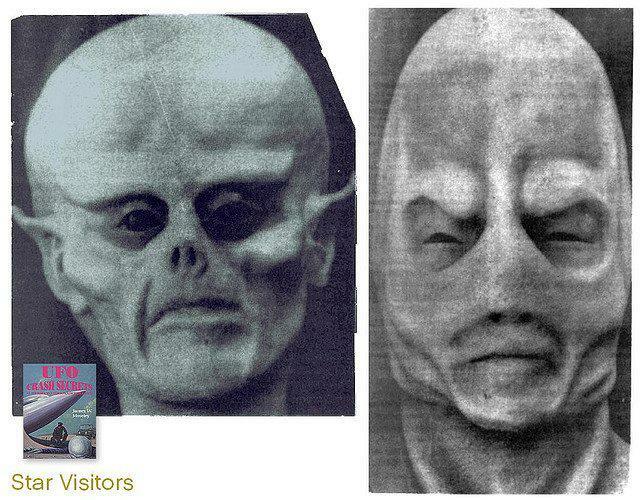 The owner of the Monster Masks blog did not recognize the alien either. This means my case of the two mystery aliens is half-way closed. One alien has been debunked, but the other still remains a mystery!